Raniero Cantalamessa was born in Italy in 1934 and ordained a Franciscan Capuchin priest in 1958. He taught at the Catholic University of Milan until 1979, when he resigned to become a full-time preacher of the gospel. In 1980 he was appointed as preacher to the papal household by Pope John Paul II. He still serves in this capacity, preaching a weekly sermon during Advent and Lent in the presence of Pope Benedict XVI. He is a frequent and popular speaker at international and ecumenical conferences and rallies. Fr. 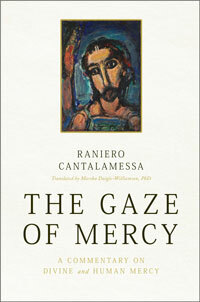 Raniero Cantalamessa, preacher to the papal household, delves into the mystery of mercy, both human and divine.